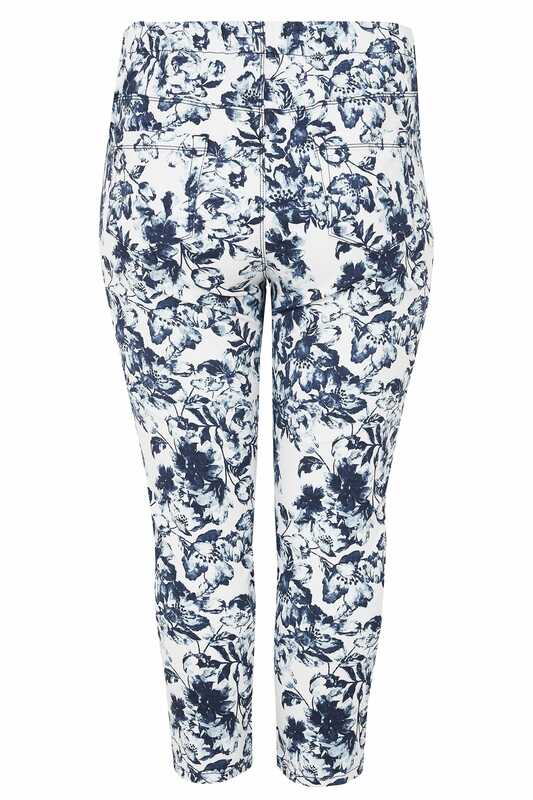 Inside leg length from (approx) 60cm/23.6"
Introduce bold prints to your wardrobe with these chic jeggings. 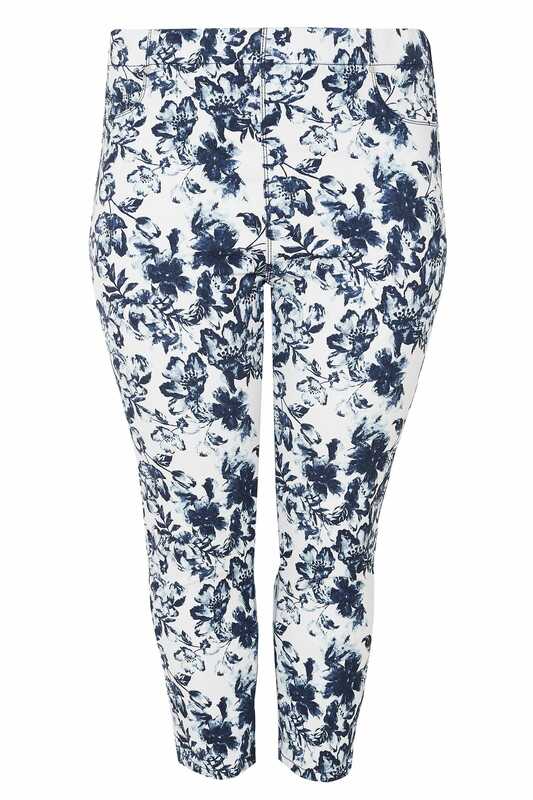 In a cropped style, they feature three handy pockets and an elasticated waistband for the ultimate all-day comfort. Team with a simple tee and canvas trainers for everyday off-duty appeal. 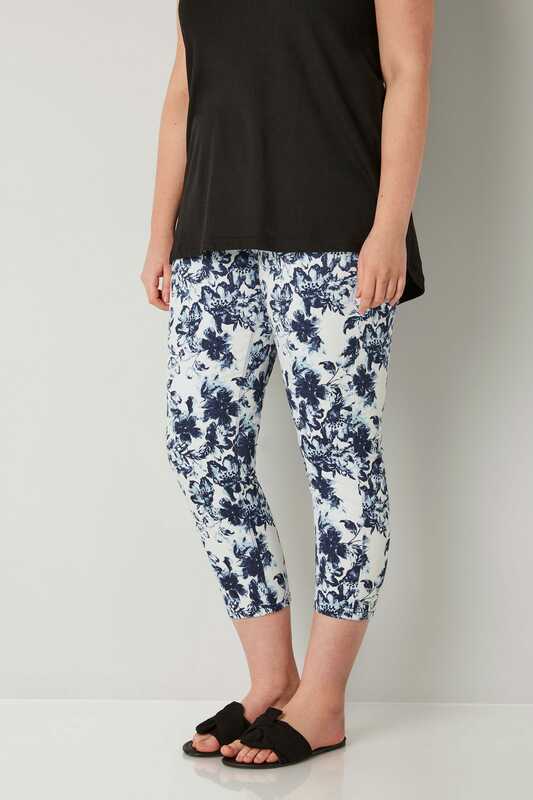 We love the bold floral print in the season's favourite navy blue hue.